Alive n Kicking: Goodbye Road Race, Goodbye Road Rage. Life is traveled only once...Yes! I agree, but does it really call for making our journey an life-threatening adventure ?? Is there a way out?? Yes. There always is one if we show willingness to act the way it is desired. 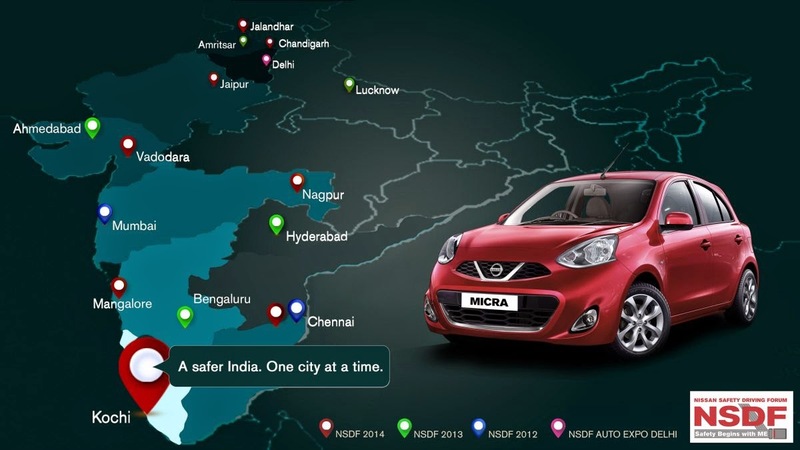 Nissan Safety Driving Forum (NSDF), an annual road safety program by The Nissan Motor Co. Ltd. is all dedicated to promote safe driving behaviour in India. This year NSDF has expanded its overall reach and engagement levels and now would reach 8 new cities viz. Jalandhar, Jaipur, Vadodara, Nagpur, Chennai, Mangalore, Kochi and my very own The City Beautiful Chandigarh. NSDF encourages drivers and passengers to wear seatbelts, and participants learn the importance of wearing seatbelts through interactive activities. The live simulated experiences are also conducted to make the safety features functioning understood through a simulated car crash. Nissan India's commitment to safety is based on great conviction about the need for caution and safety while on road. In hope to bring the much needed change in the mindset of the masses, Nissan publicize the campaign for you all to participate. Change the Behavioral Patterns: Its really shocking to see people shedding their work and family related stress n anger on their steering wheels. The faces of drivers are quite a sight to study the stress written large on them. I believe that a courteous behavior to fellow drivers with a warm smile can help the mad rush reflect calming effect. I have myself experienced that just showing respectful gestures has practically de-escalated the alarming situations and reduced the risk of physical and verbal assaults that might occur while encountering harassing n difficult co-drivers on road. Warm Smile to Calm down the tough situation. Formal Driving Training: Most of the times we have seen that the victims of road mishaps are young people... We usually acclaim them to be irresponsible rash drivers. But when deeply introspected, the fact is that youth is not going wrong on roads but they lack the awareness n proper training of safe driving. I strongly recommend every novice driver to undergo formal training at driving schools that give the opportunity to practice the driving etiquettes in a variety of real-life situations & impart technical in-depth tips of know-how about driving safe. 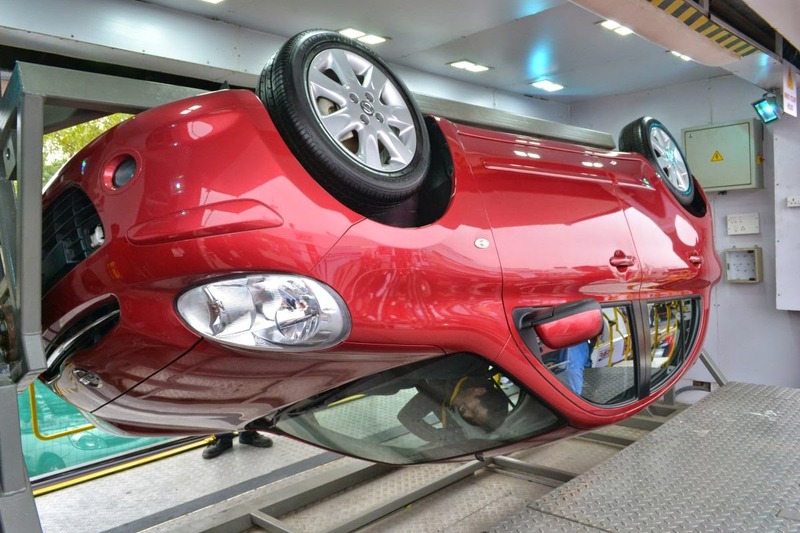 Vital Vehicle Check Ups: Don't be a miser to get your vehicle inspected by a certified mechanic at an agency that ensures avoiding serious implications of not listening to your vehicle. 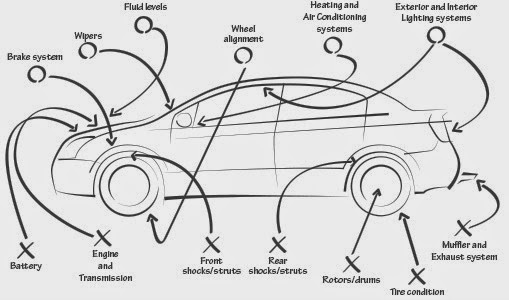 I simply mean to say leaving little problems unrepaired can lead to increased damage to your vehicle and ofcourse for your and others' lives. It may pinch you when you pay a hefty amount over the regular vehicle maintenance, but you will realize later that its always better not to pay that amount to your doc when hurt. Complete 'NO' to all Distractions: Though cell phones are one of the major causes of distractions, but in reality everything that takes off your mind from main task is distraction. 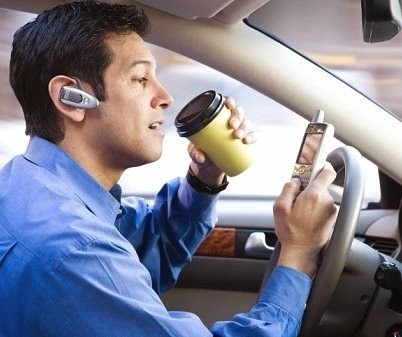 Even with your eyes on road and hands on steering wheel, mental distractions can dangerously affect the driver. My advice is not to eat / drink, operate music system frequently, text/talk on phone and turn your head off the road to talk to friend/family member sitting along for showing off your casual attitude. Safety Cushion Driving: Many of us argue of not being at fault when caught in a road accident. But give it a second thought, whether we followed basic safety norms during our so-called 'confident' driving. I have learnt one of the most effective defensive driving technique while sitting on the navigator's seat with my hubby and observing him driving closely i.e. 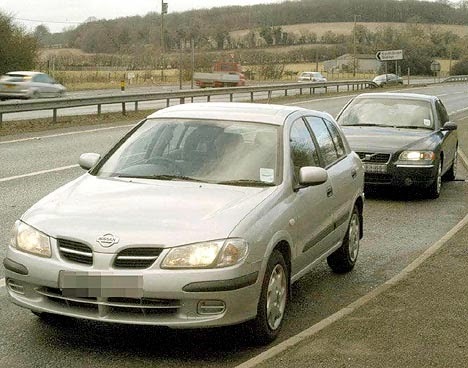 cushioning between vehicles around to avoid collisions. We should maintain 3-seconds safe distance on all sides of our vehicle that will allow us time to react when another driver makes a mistake. One should select a road sign, tree or a building as a fixed point and slowly start counting "one one thousand, two one thousand, three one thousand." If you reach that same fixed point before you can count to three, then you are driving too close to the car in front of you and you need to slow down a bit. Headlights On 24x7: By driving with your headlights on at all times even on bright sunny days makes your vehicle visible to oncoming traffic and take appropriate action. In India, you would be considered as an amateur (or might be unlearned) driver if you are on-the-go with '24-hour use of regular low-beam headlights', but it can drastically reduce the frequency of crashes. Avoid Lap Driving: I happen to see people driving car with their little kid in their laps. But as a conscientious parent, I would never think of driving with my child sitting in my lap steering my car for fun sake. Playing with the child during driving, the driver is not only endangering his life but also those of other commuters and the child. So all the parents like me are advised to avoid such practices to eventually trigger off unprecedented damages. There are many more pages to flip from the diary of a petrol-head... but while on the road, keep to the left, follow traffic rules, stay alert & of-course make your presence feel in a positive manner to bid Goodbye to Road Race as well as to Road Rage. Wishing All Happy & Safe Driving Always!! This post is written for Indiblogger's Nissan Safety Driving Forum initiative in association with Nissan India.